Following a huge public outcry, the developer and the city council have confirmed that the application has been withdrawn and a fresh application that will not include plans for an access road between Lynchwood and Wistow Way will be submitted. Read more on the Peterborough Telegraph website. A few weeks ago I began to receive phone calls and emails from residents of Orton Wistow. They were all very concerned by some information they had received about an outline planning proposal for changes to Lynchwood Business Park, that would include the creation of an access road linking a car park within Lynchwood to Wistow Way. The exit point on Wistow Way would be directly opposite Napier Place Sheltered Housing and just along the road from Orton Wistow Primary School. Concerned, I had a look at the plans and very quickly began to understand why the residents who had got in touch with me were so worried. To begin with, only residents of Svenskaby got in touch. 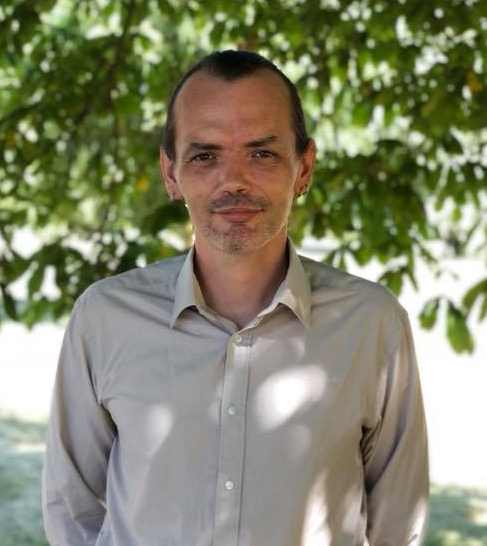 This was because they had received through their doors a notification from the council to let them know about the proposal and inviting them to comment as part of a formal consultation. However, Wistow is a close community, and pretty soon alarm had spread from one street to the next. 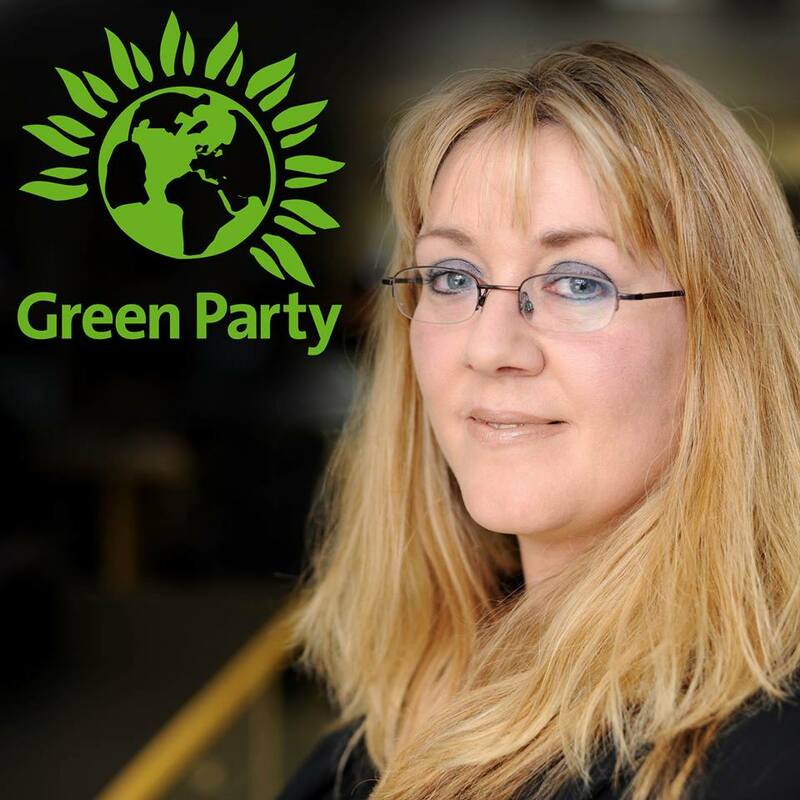 Quite apart from being a city councillor, I have twenty years of experience as a policy officer and campaigns manager. My immediate reaction to the situation was to address the concern and confusion by making sure that all Wistow residents had access to the facts. I let the Peterborough Telegraph know that the proposal was causing great worry to residents, spoke live on BBC Radio Cambridgeshire's Breakfast Show. On Tuesday 19th June, I called a public meeting so that residents who had concerns about the proposal could hear from one another and I could hear from them. 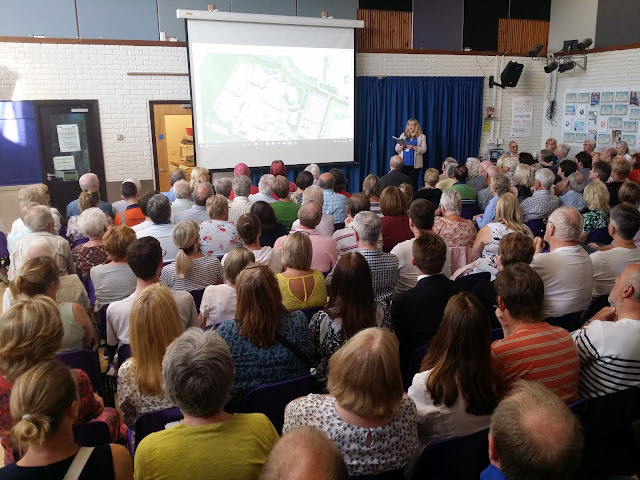 To my astonishment, 650 residents attended the meeting, which was hosted by Orton Wistow Primary School (thank you to head teacher Simon Eardley for that). 650 is an incredible turnout by any standard. The vast majority of those who attended are not in favour of the access road. 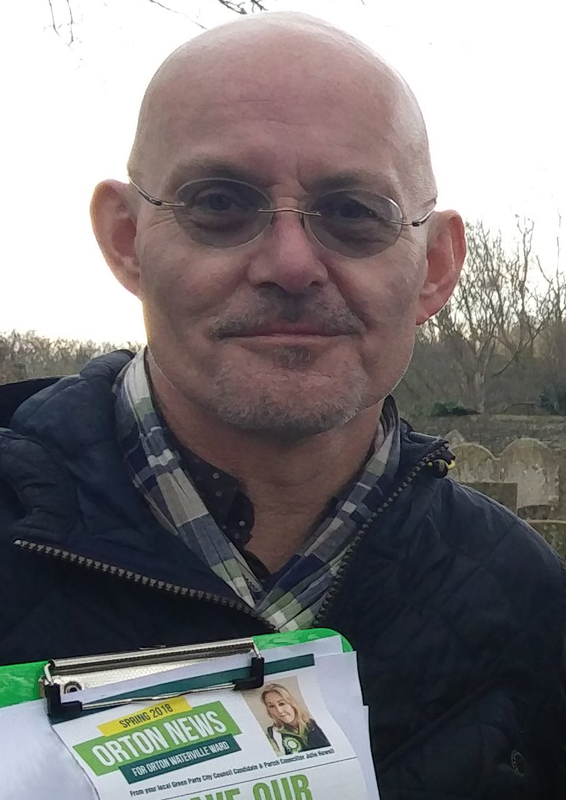 Many expressed concerns about road safety, noise, destruction of tree belt, pollution and irreparable damage to the unique character of Orton Wistow. You can view the proposal on the city council's planning portal at https://www.peterborough.gov.uk/council/planning-and-development/planning-and-building/search-applications/. Search for planning application 18/00923/OUT. When you have found the application, click on 'Documents' and then on 'See Associated Documents' to view the details of the proposal. The city council is currently running a public consultation and your comments are very welcome. Just visit the online planning portal and once you have the details of the application on screen click on the 'Comments' tab to leave your feedback. The consultation remains open until 10 July 2018. If you know someone who wants to comment but who doesn't have access to the internet, they can send their comment by post to the case officer Mrs J MacLennan at Peterborough City Council, Town Hall, Bridge Street, Peterborough PE1 1HF quoting application reference 18/00923/OUT. What should I write in my comments? What you write is up to you. However, the following tips may help. Character: Orton Wistow is a quiet, safe residential area. The introduction of business park traffic onto Wistow Way is inappropriate, out of character and potentially dangerous. Access: Emergency vehicles may not be able to get through gridlocked traffic. Napier Place Sheltered Housing regularly requires emergency vehicle traffic. Moving the bus stops discourages residents from Napier Place from using public transport. Some Napier Place residents will not be able to walk the extra distance if the bus stops are moved. The proposal to move the school's four parking bays will exacerbated the traffic problems at the start and end of the school day. The access road will act as a 'rat run' between Wistow Way and Lynchwood Business Park. Health: Emissions from queuing traffic on Wistow Way are harmful. There will be additional harmful emissions due to the additional traffic on Wistow Way. Road noise will be increased. Safety: Pedestrians (including children and older people) will be forced to cross at the busy Napier Place junction to reach the bus stop and parking bays. Additional traffic will travel around the whole of Wistow Way as more vehicles will access the other end of Wistow Way to get to the access road. Risk from blind overtaking parked vehicles on the bend if parking bays are moved there. Traffic: Additional traffic could block Wistow Way while traffic queues on Oundle Road could block that too. Traffic exiting from Wistow Way will have to give way to traffic at Lynchwood. There will be delays at the blind corner due to cars parked in the (moved) parking bays and the (moved) bus stop. Appearance: Loss of trees will open up views of a large car park and five-storey office buildings. The tree belt serves as a 'buffer' between the residential estate and the business park. Part of the tree belt will be destroyed to create the access road. improvements can be undertaken within the transport network that cost effectively limit the significant impacts of the development. Development should only be prevented or refused on transport grounds where the residual cumulative impacts of development are severe. Permission will only be granted if appropriate provision has been made for safe access by all user groups and there would not be any unacceptable impact on the transportation network including highway safety. a) New development should ensure that appropriate provision is made for the transport needs that it will create including reducing the need to travel by car, prioritisation of bus use, improved walking and cycling routes and facilities. b) The Transport Implications of Development - Permission will only be granted where appropriate provision has been made for safe access of all user groups and subject to appropriate mitigation. c) Parking Standards - permission will only be granted if appropriate parking provision for all modes of transport is made in accordance with standards. b) following appropriate mitigation the development would not result in a residual cumulative severe impact on any element of the transportation network including highway safety. I would like to thank the many hundreds of Orton Wistow residents and people who travel to Orton Wistow regularly (e.g. parents whose children attend Orton Wistow Primary School) for attending the public meeting, responding to the consultation and making others aware of it; the 12 residents who distributed leaflets for me; Simon Eardly, Head Teacher, Orton Wistow Primary School for use of meeting rooms; Luke Moore for invaluable research; members of Peterborough Green Party. More names will be added here! Parish Councillor Alex Airey with City Councillor Julie Howell. And 12 sacks of rubbish. Another sunny Sunday morning, another litter pick. 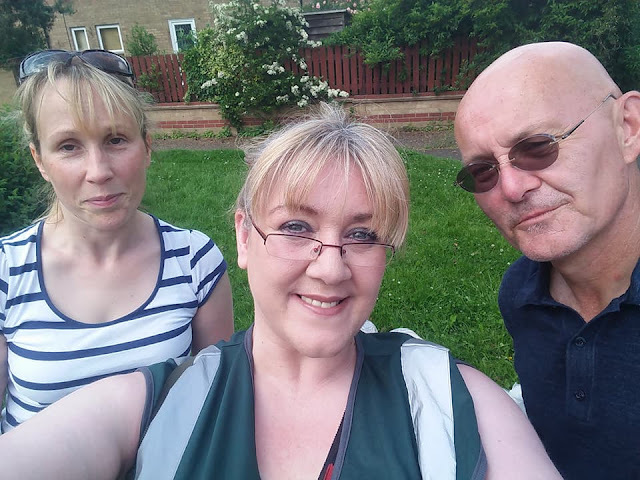 This time, and at the request of its lovely residents, my team headed over to Rangefield in Orton Brimbles. We were told the council's litter picking team had been there earlier in the week. We proceeded undeterred. In our experience the council team only picks up the litter that is visible and in easy reach. My team go that little bit extra, poking about in bushes to remove the glass and plastic waste that poses the greatest threat to local wildlife. 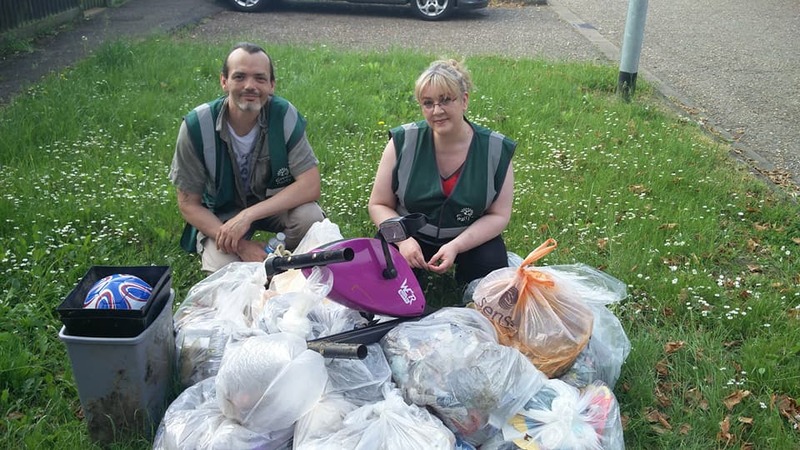 Litter picking isn't just about making our streets look nicer. It's about making them safer too, and most of what is dangerous tends to be hidden from view. We often find discarded food packaging that has a BBE (best before end) date on it. This gives us a strong clue about how long the rubbish has been lying in the undergrowth. Five years is not uncommon. How about 35? We recently found a crisp packet that would have been dropped in the street when I was doing my A levels (and not by me, I hasten to add!). Today, we were joined by several new volunteers. They were all amazing. However, newcomer Babs really impressed when she found not one but two antique pieces of litter that are worthy of a blog post all of their own. Do you remember Marathon chocolate bars? 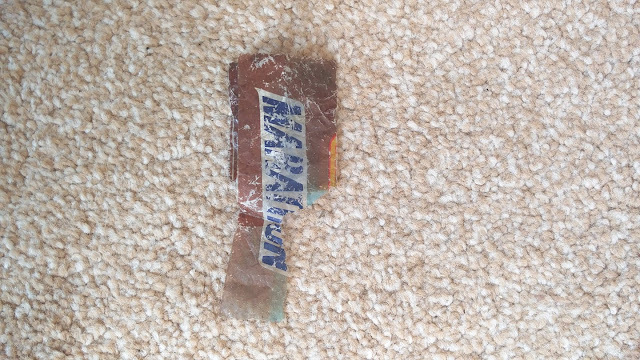 If you're as old as me then you will recall that Snickers used to be called Marathon. 19 July 1990 - that's the day when Marathon became Snickers. So the Marathon wrapper Babs found in a bush must have been there for at least 28 years, evidence that plastic degrades very, very slowly. Other Orton residents have since pointed out that Mars temporarily manufactured Marathons again in 2008. Without the aid of carbon dating (or an expert from Mars) we may never know its true provenance. It's not unusual for us to come across lost identity cards, lanyards and even house keys. But a cheque guarantee card that expired in 1999? That's a new one on us. From its date we know it has lain in undergrowth for at least 19 years (probably more). 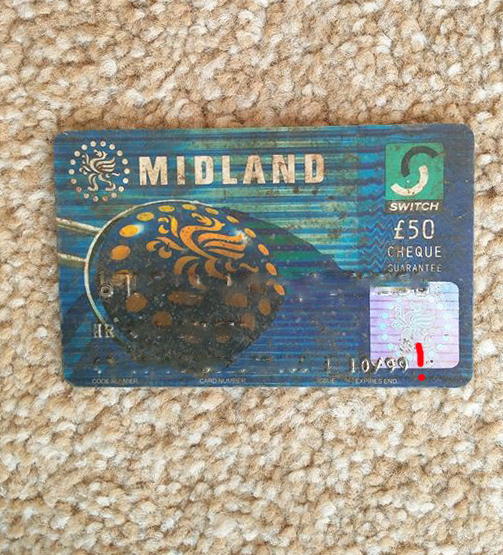 Writing on the card asks anyone who finds it to return it to Midland Bank. We would if it could, but Midland Bank ceased trading in 1999 (having been taken over by HSBC). Who remembers cheque guarantee cards??? All credit to Babs for finding this gem. Sadly, it has no worth whatsoever, not to us, nor to the person who lost it (who no longer lives locally as far as we can tell). Although the mind boggles as to how it found its way into a bush this is irrefutable evidence that in two decades no one has done as thorough a clean of the area as we did on our litter pick. I'm sorry to tell you we find litter that is many years old all the time. The council picks up a lot of it but plenty is deep in undergrowth and gets missed. This is also irrefutable evidence that plastics left in our local environment take a very long time to biodegrade. They just lie where they are dropped or where the wind blew them and underneath them little can grow. Please remember this when you see any plastic on the ground in the street where you live and - if you have gloves on or a litter picking stick - please pick it up and put it in a bin. Nature would thank you, if it could. Clearing up fly tip in Orton Brimbles 03 Jun 2018 from Julie Howell on Vimeo.